" Hawkstone Builders are highly professional, nothing is too much trouble. We would have no hesitation in recommending your services. " 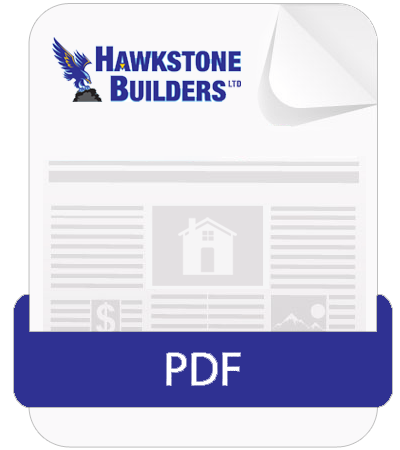 " Hawkstone Builders deliver a high standard of workmanship in a professional manner. They are reliable and efficient and offer excellent value for money. We would have no hesitation in recommending them. " " Ray, we are absolutely delighted with the results of our recent garden renovation. We are extremely pleased with the fast friendly and efficient manner the work was carried out. We would use you again. " " I would like to take this opportunity to thank you for the great work you carried out and all at a very competitive price. It made a pleasant change to find a builder who takes pride in their work. " " We are so pleased that we employed the services of Hawkstone builders. Ray is very professional and personable. The work was carried out in excellent time and the high quality of workmanship was clear to see. " " Dear Ray, you have transformed my life! Thank you very much. I will be in touch to carry out works on the rest of the house. " " Dear Hawkstone Builders, we were very impressed with the professional and reliable approach. Very knowledgeable and helpful team, good price, high standard of work and has been completed quicker than expected. Would definitely recommend! " " To everyone at Hawkstone Builders, thank you for the excellent work done to fill in our problem pond and convert it into a patio. Everybody is very impressed with our new-look garden which was left in pristine condition. " " Hawkstone Builders were a breath of fresh air! They were professional and showed complete respect for our property. Their work is first class!! " " Hawkstone Builders completed a very difficult project for us that no other building company wanted to do. They finished when they said they would and to an excellent standard. " " We had been searching for months for the right builder at the right price. Hawkstone Builders were organised, professional and very competitive "
" Hawkstone Builders were a pleasure to have around. All the tradesmen were polite and very knowledgeable. They all had a 'can do' attitude and nothing was ever a problem. On top of that they delivered a first class job on time and in budget. " Hawkstone Builders deliver a high standard of workmanship in a professional manner. They are reliable and efficient and offer excellent value for money. We would have no hesitation in recommending them. We appreciate our customers and we like to repay them with a straightforward open approach in all our business dealings. Trust, honesty, dedication to the project are key to delivering excellence, we will never compromise on quality.